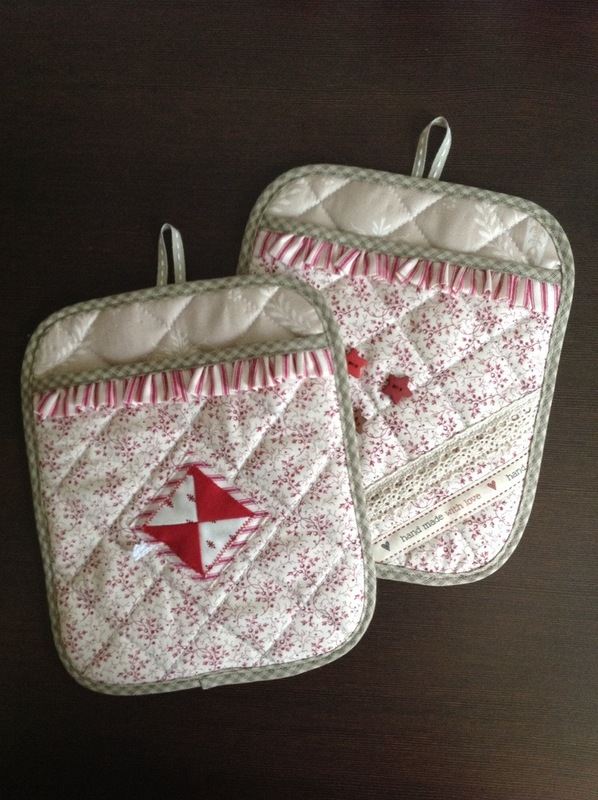 Since the holidays, I have been sewing little else but potholders. 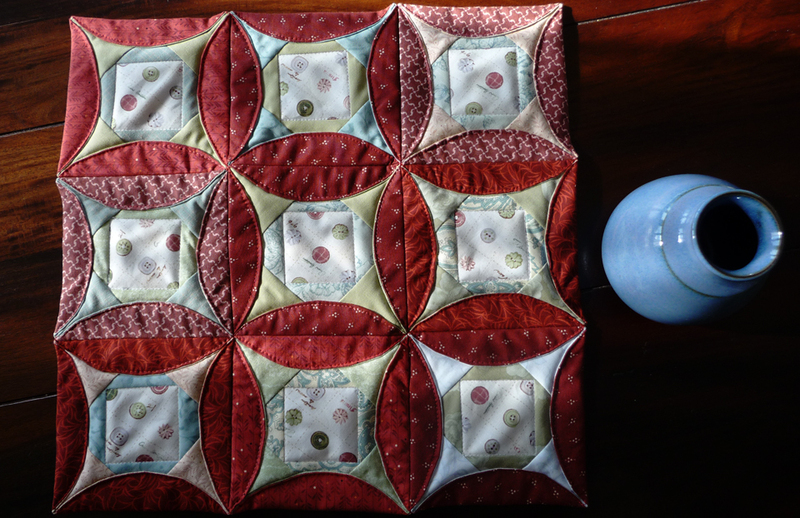 The six inch blocks all turned into potholders, plus I came across Amy’s blog again and her very beautiful tutorial for potholders, and decided to try it out. The most difficult part of sewing these was the binding. It came around all twisted and bumpy – awful! Some days later, I ripped it off again and used some ready-made bias tape. The most fun part, I think, is embellishing the front sides. I like the idea of not making exact twins but rather making up two matching designs. And it really is fun to rifle through my drawers and bring to light some long forgotten scraps of lace or beads. 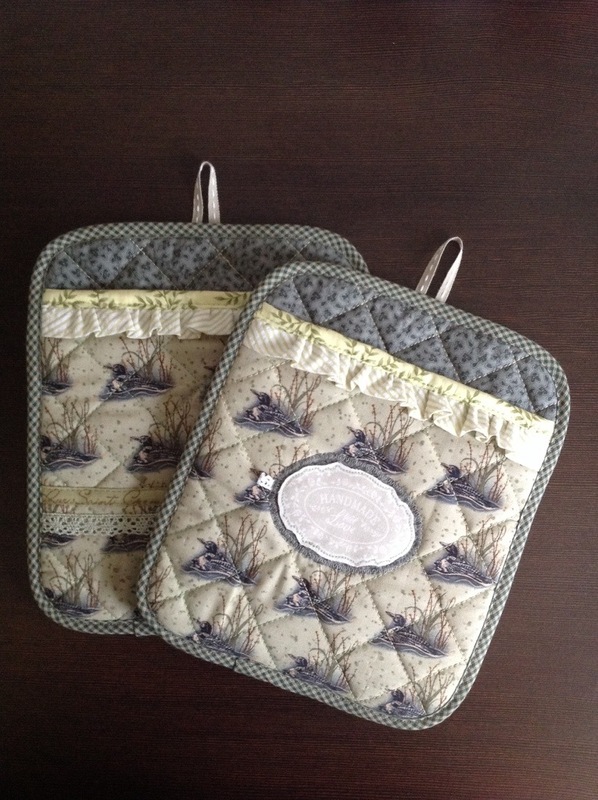 Binding the potholders still is the most challenging part but anyway easier than making hand made bias tape. Posted in Uncategorized and tagged bias tape, binding, potholders, sewing. Bookmark the permalink. Well, it is finally done. America the Beautiful is finished. 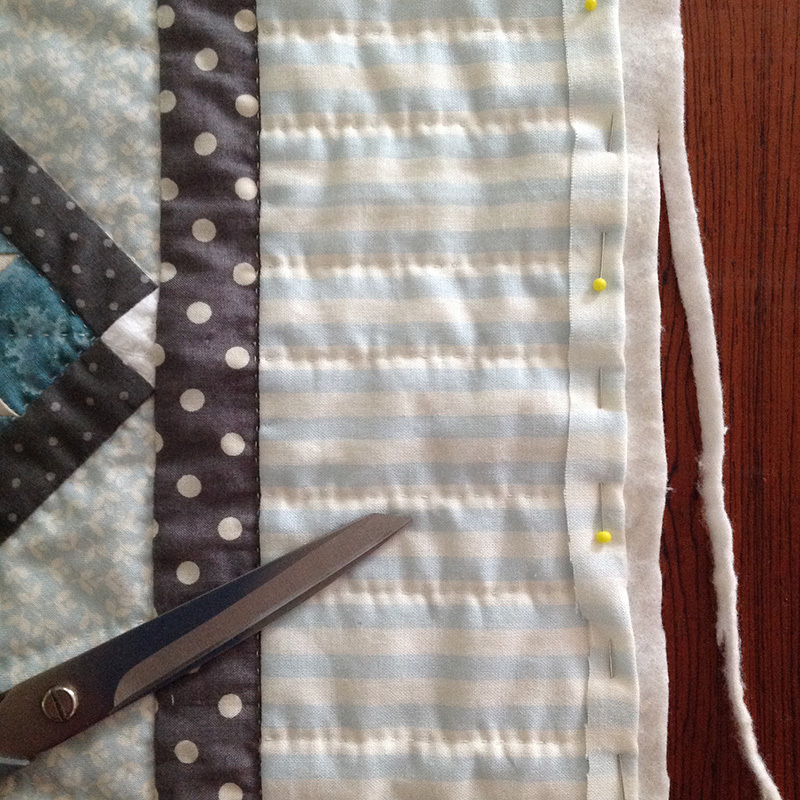 Hand quilting and binding—all is done. This quilt is one of the biggest I ever made. It sounds stupid, but I never realised that before. It was only when I measured it to calculate how much fabric I would need for the binding that I came to understand that. My stash would not have a single piece of fabric in matching colour that would suffice. I actually had to go and buy some new fabric just for the binding. Normally, I would never do such a thing. I would plan in advance what fabric I to use for a binding. 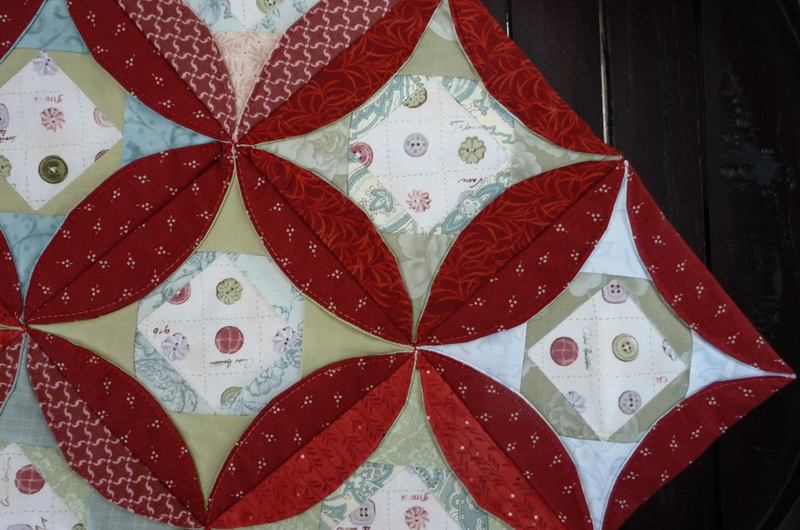 But in this case, well, I might have lost track during this long period of piecing the blocks. 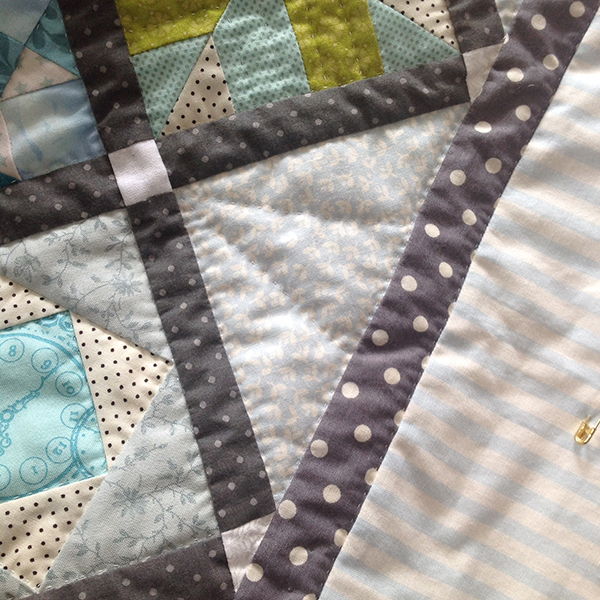 And I did not wish a scrappy binding for this quilt. I went for a soft green, as a matter of fact (you might not be able to discern the colour in this photo). With a cotton batting, the quilt is quite heavy, too. It was early morning when I took the picture. And I like the effect the sunlight has on the photo: giving the impression of “my” sun (top right corner) rising over the trees and mountains, not yet bright enough to extinguish the light of the stars. America the Beautiful was inspired by the song of the same title (by Katharine Lee Bates and Samuel A. Ward). Design by Lynn Lister. 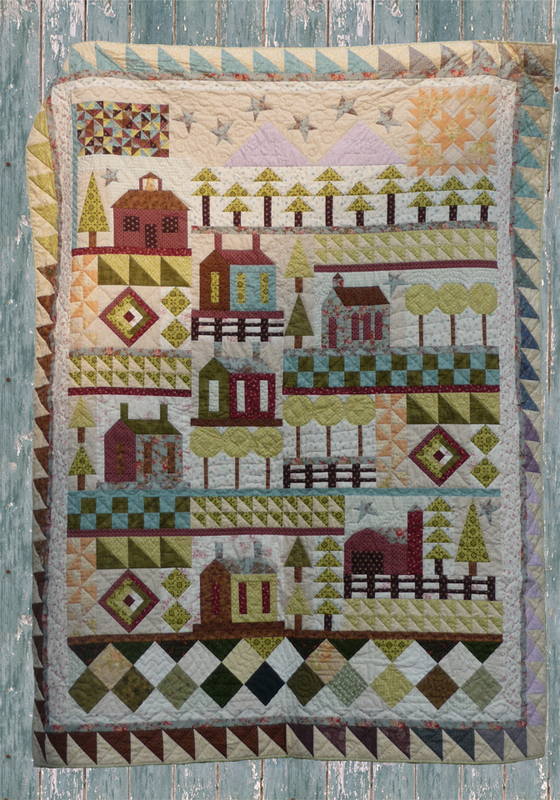 Pattern by McCalls Quilting Magazine. 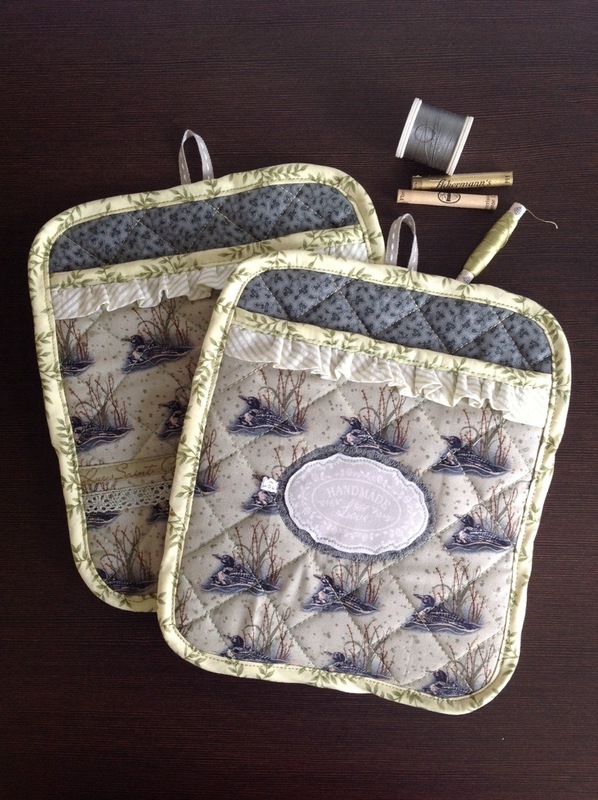 Posted in Uncategorized and tagged America the Beautiful, binding, hand quilting, quilt, quilt sampler, sampler. Bookmark the permalink. Remember my New York Beauty block? It so happened that I sewed three more. And believe it or not, I joined them to one small wall hanging or table topper. 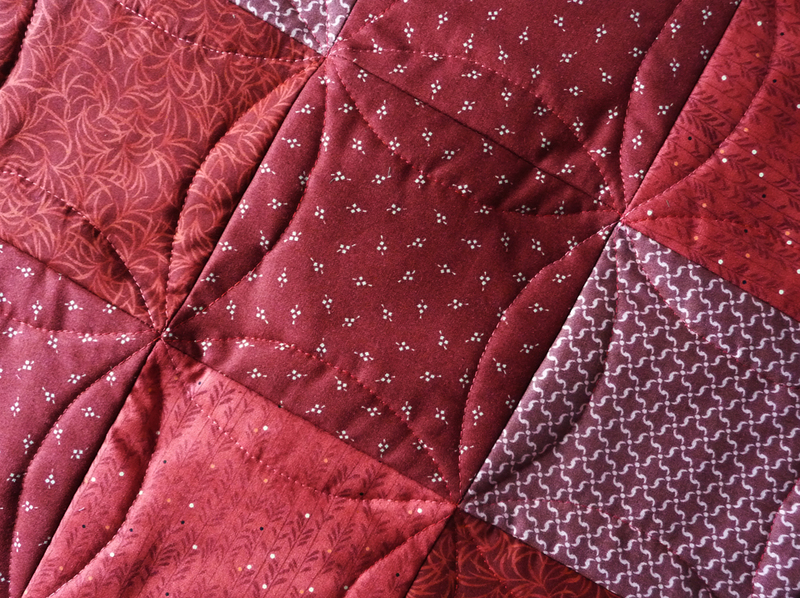 Since it is such a small project, plus my sister recently gave me several reels of red thread, I decided to machine quilt it. 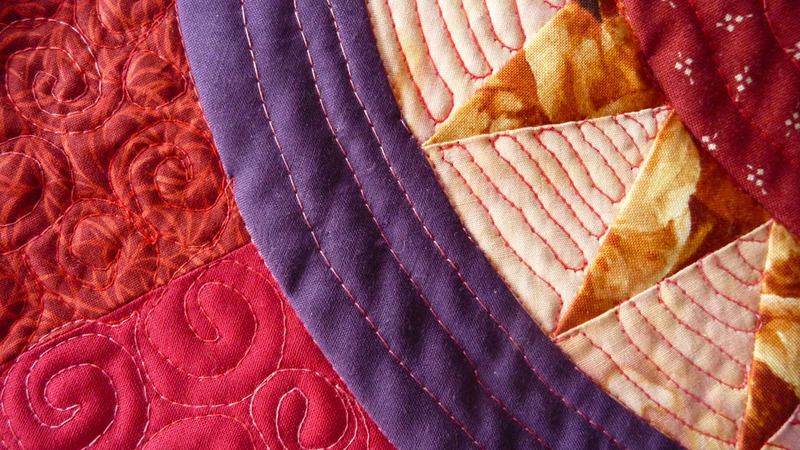 I confess I am not very practised in machine quilting, yet I did everything in free motion quilting. Adjusting the stitching speed (foot) to my moving the sandwich (hands) was quite a challenge. On the back, you can see a new (to me) method of hanging a small wall hanging. 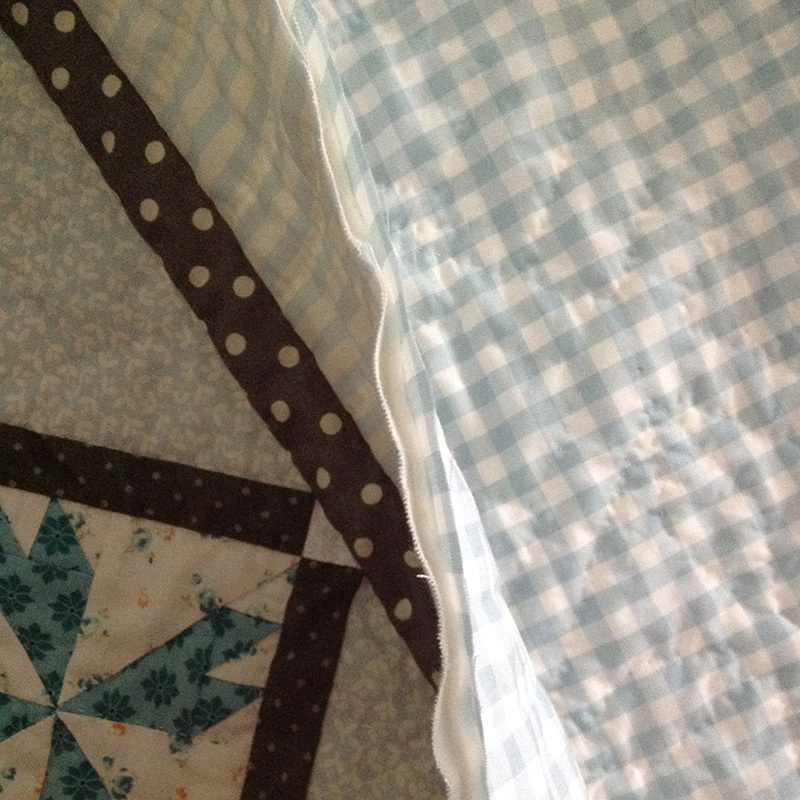 I simply folded a square piece of fabric in half diagonally and sewed the raw edges in the seam when binding the quilt. I should have sewn four of these pockets, not just two, so that I was able to forever choose which side is up. Anyway, I might even hang it on point, after all! 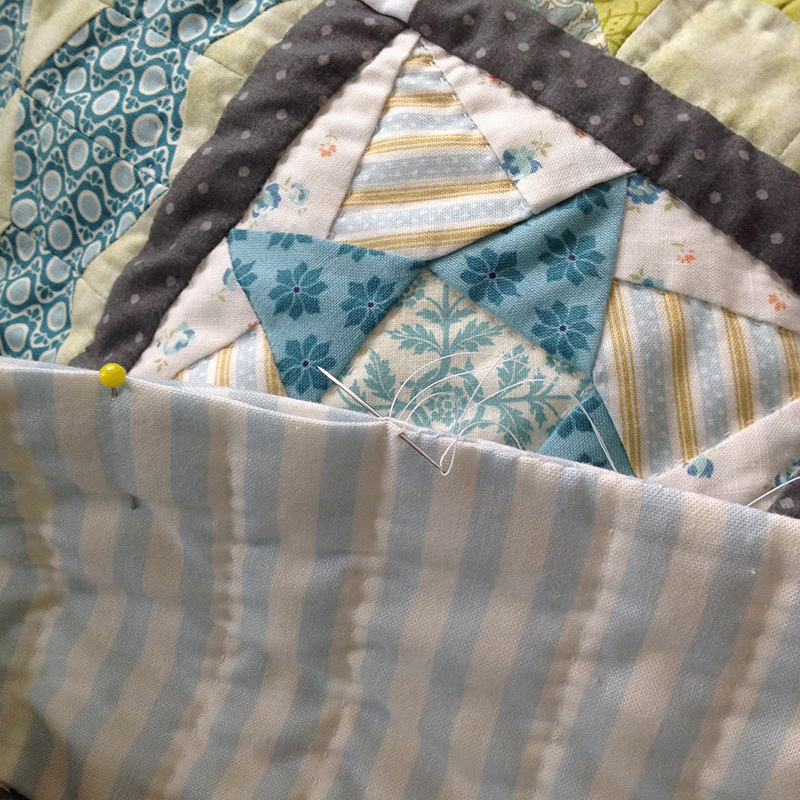 I am happy to say that sewing this small New York Beauty project quite alleviated my fears about sewing curves, and I would now be happy to sew a bigger quilt. 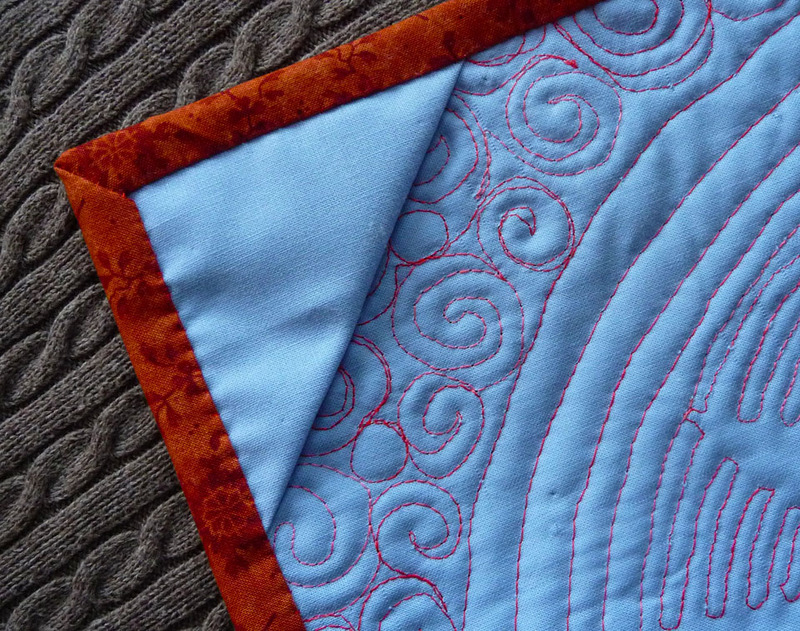 Posted in Uncategorized and tagged binding, curves, free motion quilting, hanging, here comes the sun, machine quilting, new york beauty, quilt, red, sew, wall hanging. Bookmark the permalink. Last weekend, I sewed this quick table runner. 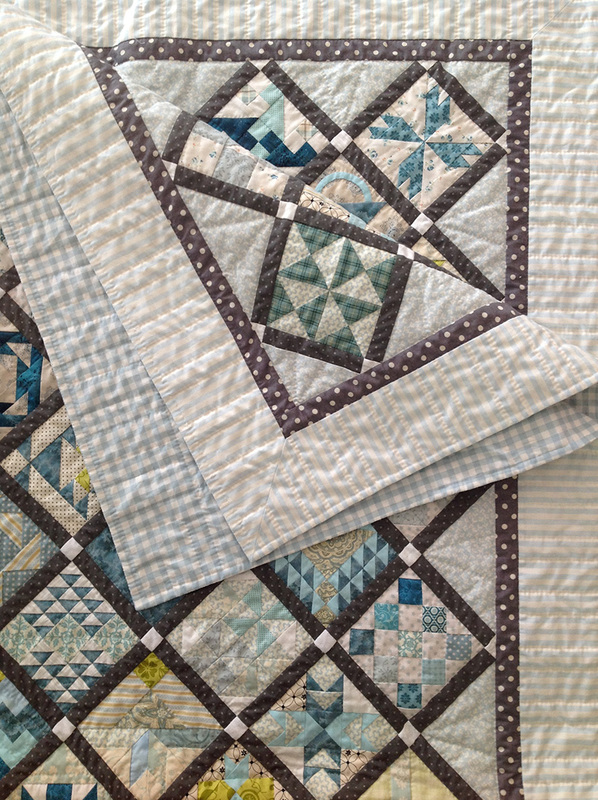 The pattern is by Deborah Vollbracht and was featured in McCall’s Quilting magazine, my constant source of both, inspiration and instruction for new sewing techniques. My attention was drawn to this particular pattern because, although there are curved lines enough, no curved piecing is required. 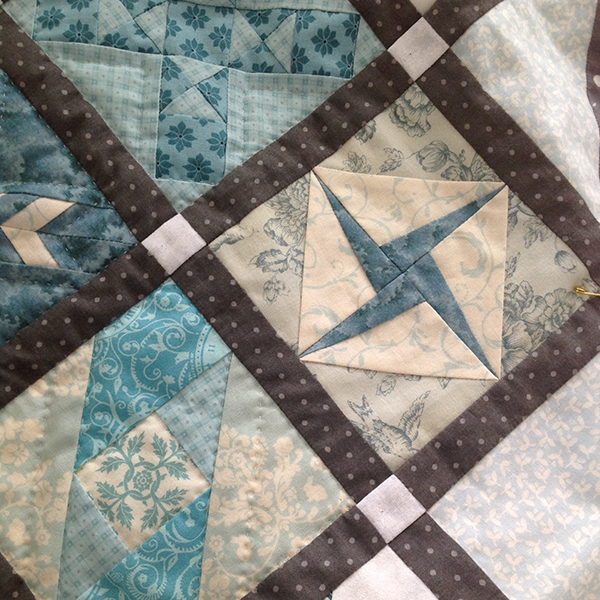 Plus I liked the fact that piecing, quilting, and finishing, all is combined so that there is not the ordinary way of piecing, then quilting, and then binding. 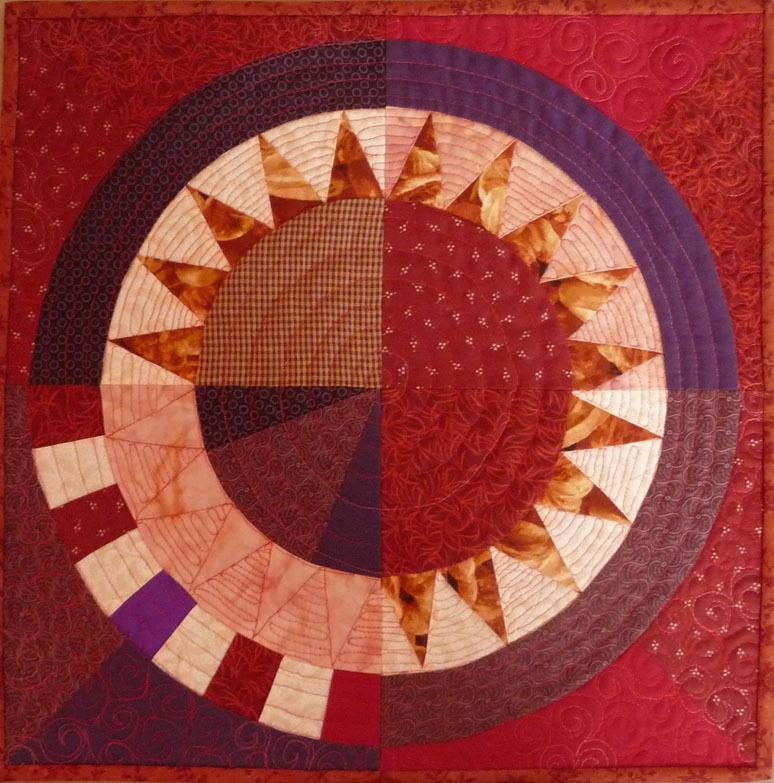 Each of the nine blocks is a circle, pieced and furnished with batting and backing. When turned right side out, they each looked like a pancake. 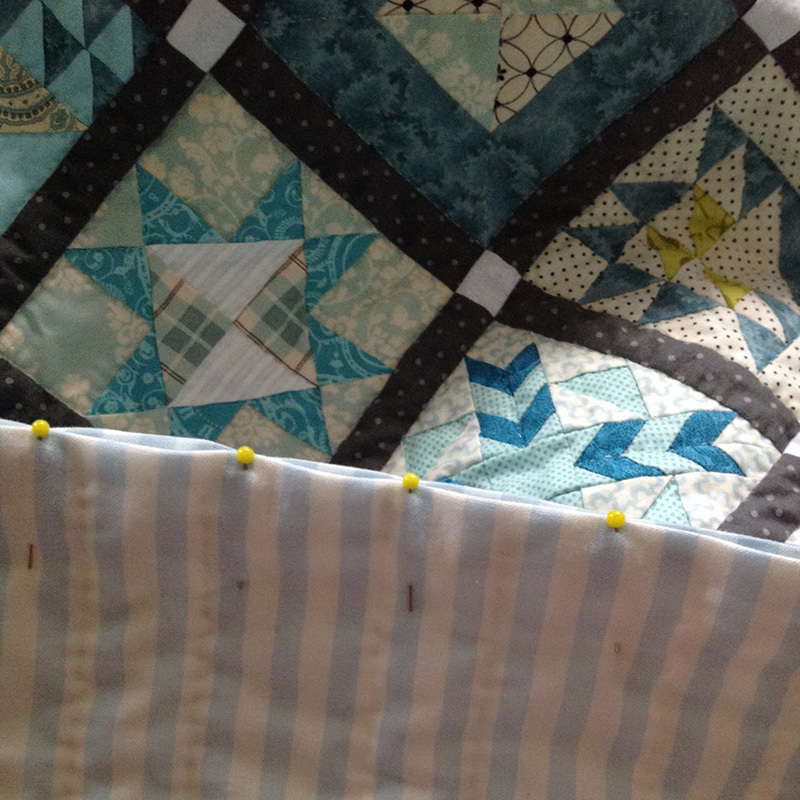 The nine circles are joined, sewing straight lines along the sides of the circles. 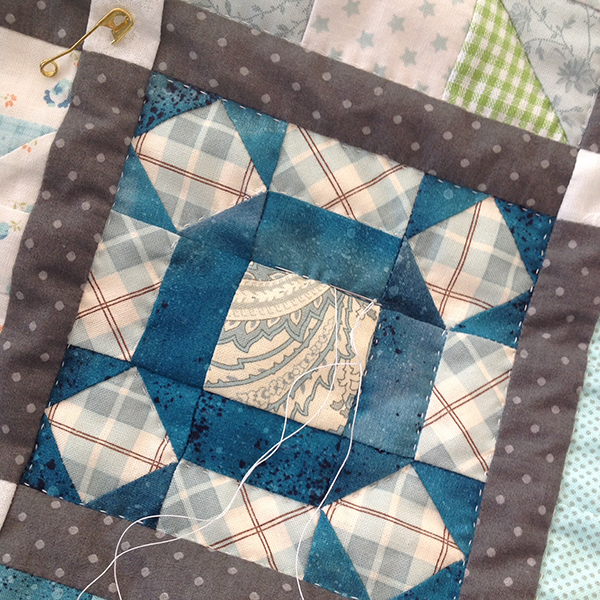 And the last step is to stitch the flaps, which formed when joining the circles, down to the circles’ centres. 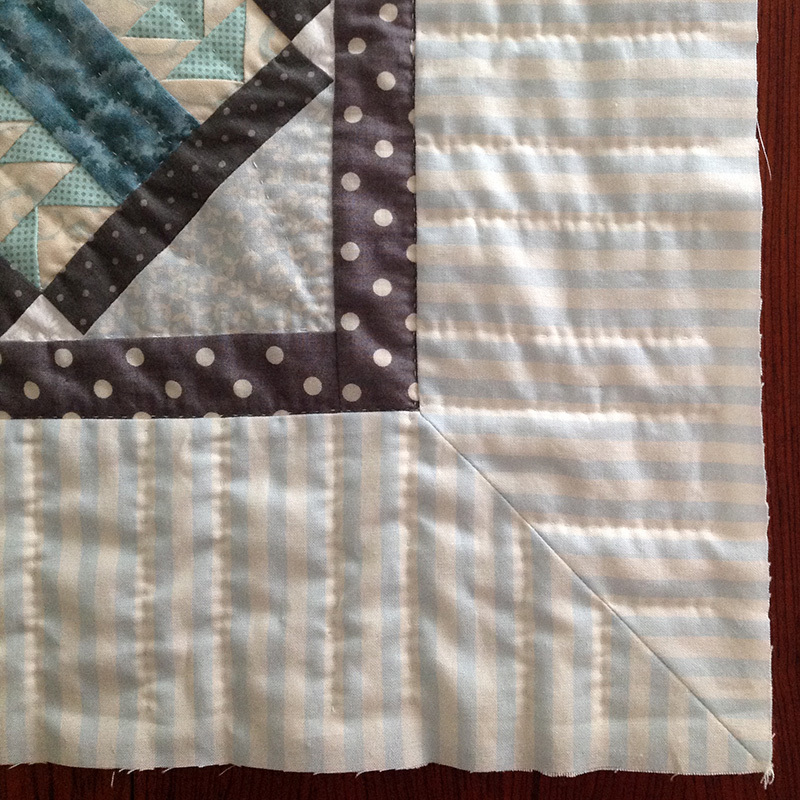 The back of the table runner shows the curved quilting lines of the last step—all done in one continuous line! 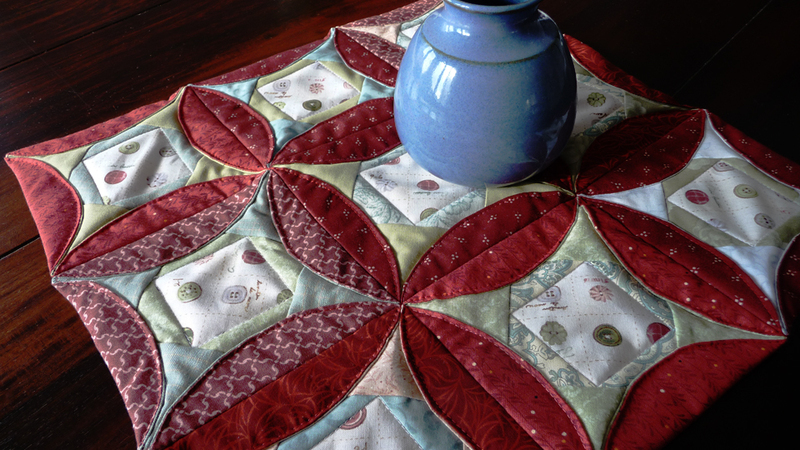 Posted in Uncategorized and tagged batting, binding, circle, curved seams, Deborah Vollbracht, McCalls Quilting, piecing, quilt, quilt block, table runner. Bookmark the permalink.